Well, in the pub. She did have a cup of tea. Hmm...seems my memory wasn't wrong. 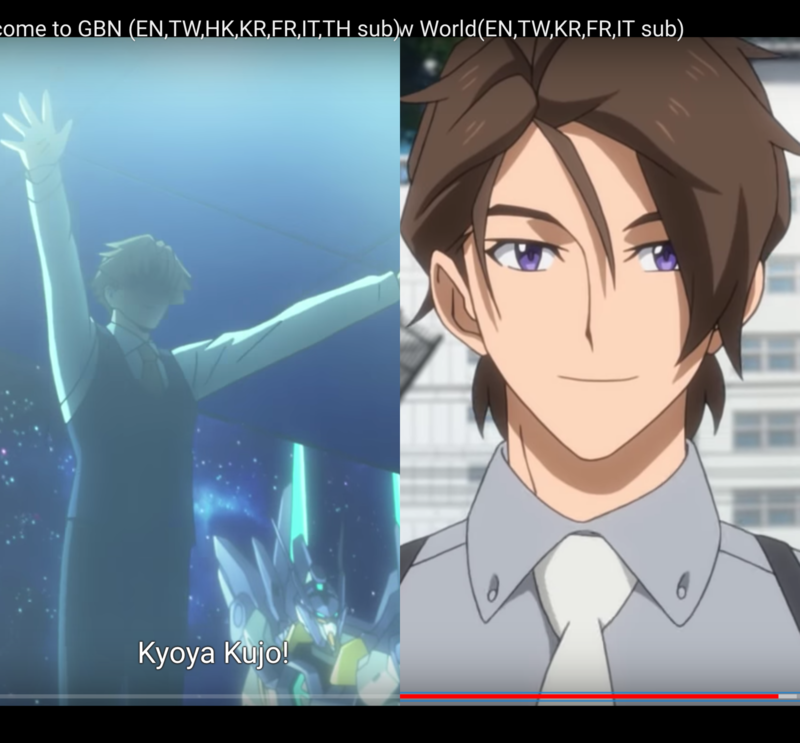 Kyoya's IRL self did curiously look different when he first appeared back in the first episode. Some images of of the kit is already spreading in social media. Apparently, one box includes both the real world moving mascot and the mech she was piloting. HLJ has it too. 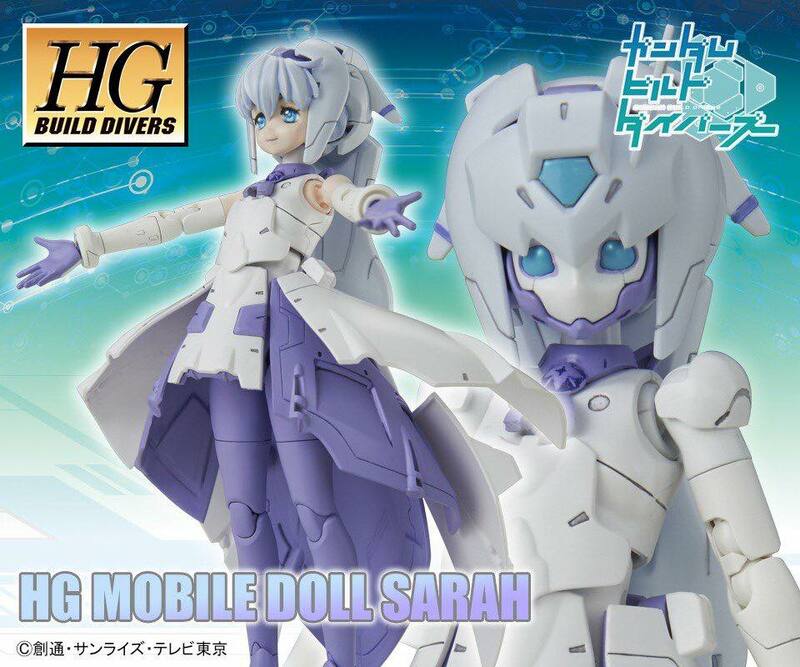 Looks like you part swap to make either her doll self or her mobile suit. My wife enjoys building kits like those. So she will probably end up with one. Sadly does not include AI. 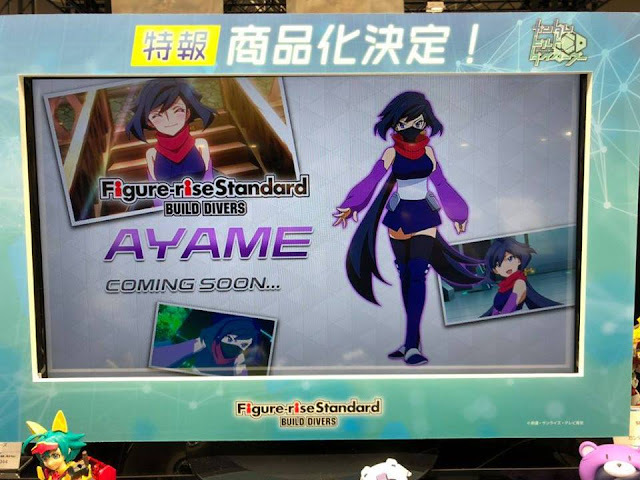 It kinda got drowned in the excess of news that occurred during yesterday's livestream but a new Build Divers anime has been announced to be in the works. I guess the kits sales were good enough that they trumped the anime's low ratings. I hope they at least put some effort into the kits this time around. Y'know, mulling it over and although I wasn't the biggest fan of Divers, the show's concept itself was very interesting so if they pull a Try and give us a mostly new cast and much better storylines then I'd be willing to give Season 2 a shot. Speaking of the kits themselves, hopefully by 2019 they'll start using the IBO based kits proper instead of a faux style like with the Galbady Rebake.